It can be a headache dealing with exterior paint problems. The good news is that information as to how to deal with these exterior problems is abundant online. And you do not need to become a genius to be able to troubleshoot these exterior issues. Here are some of the more common exterior paint problems that homeowners encounter once in a while and how to remedy them. Alligatoring: This is usually caused by extremely hard rigid coating similar to alkyd enamel that was applied on it over a more flexible coating like a latex primer. Applying top coat before the undercoat becomes dry can potentially cause this problem as well. The only way for you to remedy this is to completely remove the existing oil paint by scraping and sanding the surface. 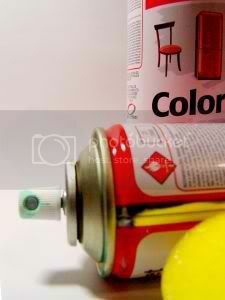 Utilizing a heat gun is also an alternative as long as you are careful not to burn paint or substrate. The surface then should be primed using top-quality latex or oil-based primer then painted with high-quality exterior latex paint. Blistering: Construction defects and humidity or even a lack of effective vapor barriers can eventually cause moisture condensing within wood siding. And when there is moisture, pressure builds up affecting the wood and its coating. And even if the surface dries up as the water evaporates, the paint film is now damaged. Dealing with this requires you to scrape peeling paint until you see the bare wood. Prime the portions that are already exposed and then repaint them. If the blisters are caused by moisture, you can use high-pressured washer or a heat gun to speed up the process. Chalking: Fine powder can potentially appear on the surface of the paint film during weathering and this can cause the color of the paint to fade. Excessive erosion also causes this or the usage of high-pigmented paint of low-quality. Removing chalk residue using a stiff bristle brush is the first thing that you should do then rinse it using a garden hose or power washer equipment. On the other hand, if you feel that you will need professional assistance then you can get in touch with expert painters. It can be challenging painting walls and requires experience in doing so, and even then, walls that stretch afar can have corners that show that tape was used making it inelegant. Just imagine painting ceilings which is more difficult. Because of such factors, most residential homes’ ceilings that feature drywall have textured finish that are able to keep its flaws from being too visible by deflecting light on it. These days, textured ceilings are normal in most homes and there are a number of things that you should consider in case you have plans on painting your textured ceiling. Preparations: Before you start painting, it is always important that you tape off existing walls with painter’s tape that has lightweight rollout plastic drop cloth. The tape goes along the upper corner of the adjoining walls while the plastic rolls out to ensure that the walls are protected. Make sure that you also turn off the electrical breaker in the room where you are planning to paint and use alternative light sources instead. Use extension cords if needed. Remove ceiling fixtures if possible and cover the floor with a canvas drop cloth and remove all furniture inside the room. Painting Options: Before you paint the ceiling, pick your painting medium. Most ceiling texture is done by applying joint compound to the ceiling and then spraying commercial texture on it, trowel using your hand or a texture slap brush. There are different kinds of compound-based texture. There are flat to nearly ½ inch stalactite-looking peaks with defined tips and valleys. Smooth ceiling textures which appear like an orange peel can be painted using a roller with an extension pole though note that for larger textures, sprays can cover more areas. Rolling/Spraying the Ceiling: If you will be using paint rollers, make sure that you wear a hat or cover yourself with a disposable paint suit. Using an affordable paint-grid in a 5-gallon plastic bucket lessens the mess you create while on the job. If you decide to use spray paint, you may want to rent it from a construction rental store than buy a cheap spray paint that is likely of low-quality. On the other hand, there is also the option of employing the services of expert painters. Painting ceiling texture is not a walk in the park and requires a lot of preparation and skills on your part. Paint Selection: Selecting the right paint when it comes to painting your wooden spiral staircase is vital and you can do this in two ways; pick a paint that will conceal the staircase’s underside or you can simply use stain or varnish to rejuvenate the wooden characteristics of the stairway. Preparation: Before you start painting you have to remove the old paint through the use of either a heat gun to soften the old paint and strip the already softened paint using a liquid paint stripper. You also have the option to remove it by using sandpaper which is necessary either way because sanding the wooden staircase will make it more susceptible to paint. The next thing you need to do is to clean it with the help of a vacuum cleaner so that there are no dust or dirt residues on it. Wiping the wooden surface comes next. Priming: Like with every painting job, you have to apply primer paint on the conditioned wooden spiral staircase through the use of paintbrushes and or rollers. If you are unsure as to how to go about it or you have no experience when it comes to paint jobs then you can always read the manufacturer’s instructions on the back of the primer can. After priming the stairway, let it dry for at least six hours before starting to paint it with enamel. Painting: You are free to paint the wooden spiral staircase using the same painting tools you utilized when you were priming the staircase. It is recommended by professionals to start painting from the top to the bottom of the spiral staircase. Once you are finished, let it dry and then apply a second layer of coating. Applying sealant on the painted areas of the wooden spiral staircase will protect the staircase from damage and make sure that you apply three layers of sealant. Make sure that you read the manufacturer’s instructions on the sealant’s container so you know how it works. Employing professionals is also another option in case you do not have the luxury of time to do paint jobs. Home improvement is not limited to fixing broken shelves or creating handicrafts for the home. It is also not just about the usual weekly maintenance that you do to keep your home’s interior and exterior in good condition. It is also important that you repaint your house and furniture once in a while so that they keep the same glow similar to the time that you first bought them. However, it can be costly and tiring to do so. Furthermore, painting can be very messy especially if you are not experienced in doing so and it can be disappointing at times to see that the result of your hard day’s work is not as what you hope them to be. The good news is that there are tools available that you can utilize to produce the results that professionals can produce. Here comes Paint Zoom. Paint Zoom is a compact paint spray that is convenient to use. It can easily be operated and objects that has been painted by Paint Zoom remains fresh and brand new for a long period of time. The next time that you will be doing some paint work at home, you may want to check online and order one of these. For only an affordable price of less than a hundred dollars plus twenty dollars for shipping, you can create one day miracles in your home.